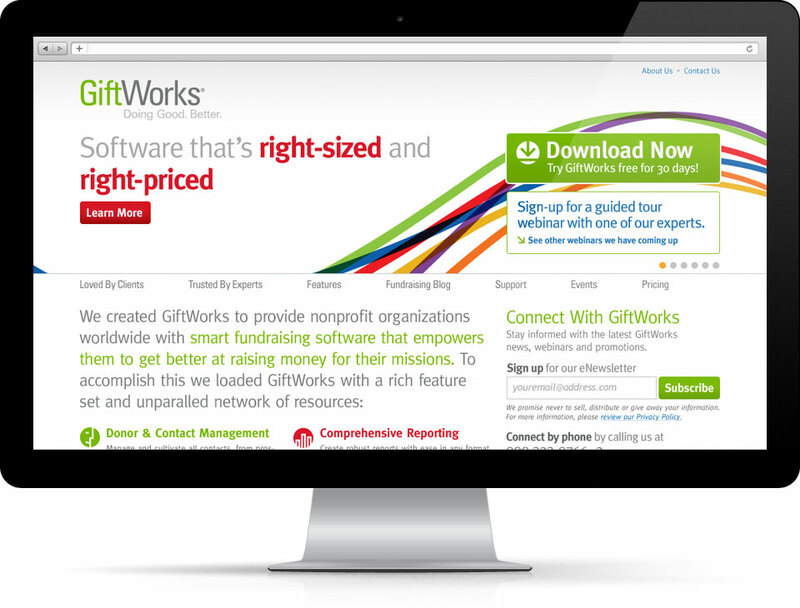 Based in Lancaster, PA, GiftWorks is a non-profit, smart fundraising software package developed by Mission Research. 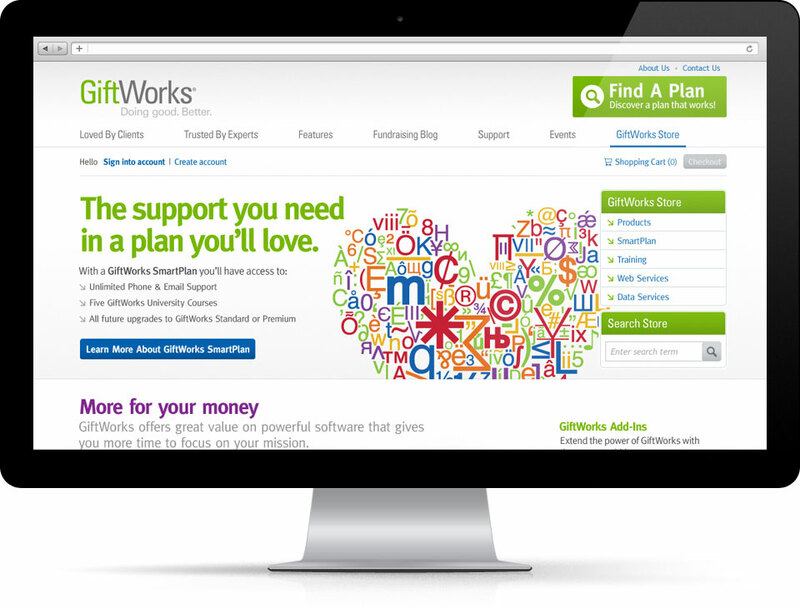 In early 2010, andCulture gave them a brand refresh. 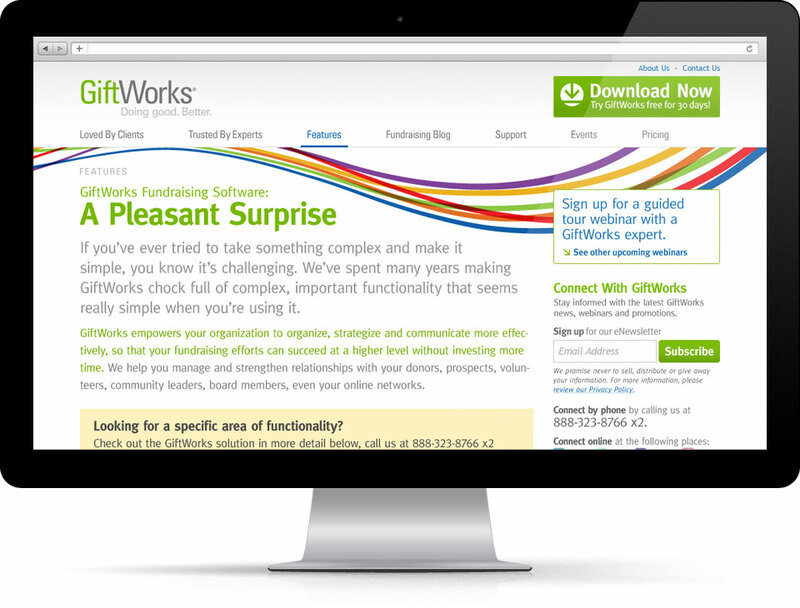 As part of a larger brand refresh proejct, I translated GiftWorks' new brand direction into a website. As Senior Art Director on the project I was responsible for all artwork, coordination of artwork execution with other designers and seeing the design was implemented correctly throughout buildout. 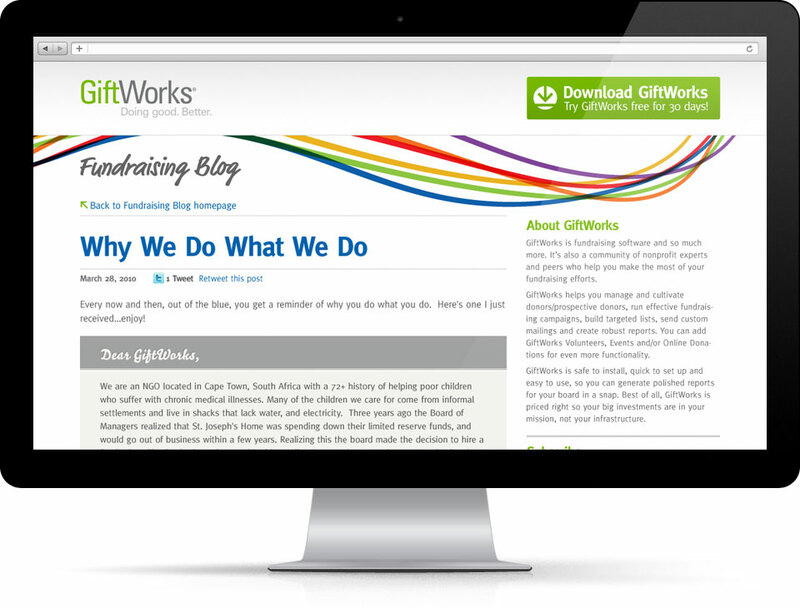 As part of the brand refresh, I designed an email newsletter template for GiftWorks as well. 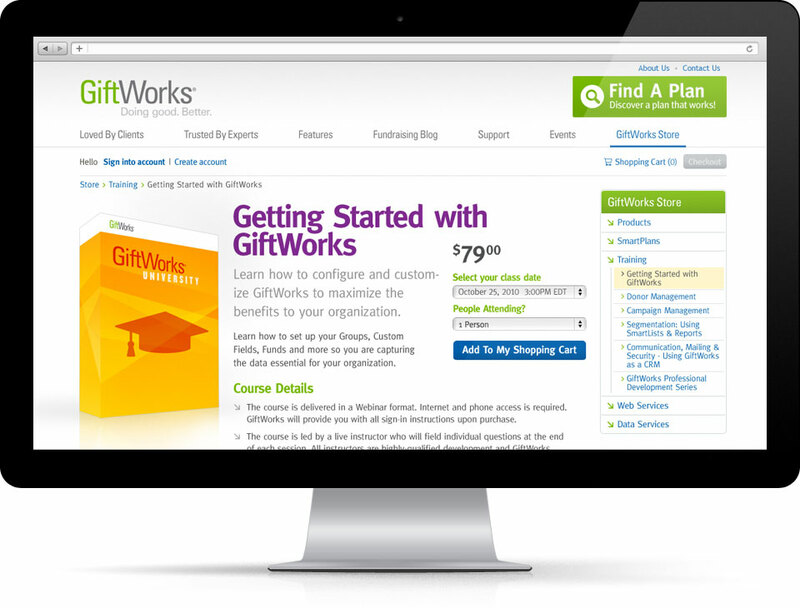 As part of the E-Commerce project, GiftWorks needed a way to represent their software. I designed these digital "boxes" for all their software packages and bundles.